Are you involved in ecommerce? Or do you have a website to promote your business online? If yes, then you are probably involved in a variety of online marketing activities. However, not all online marketing tricks work in everyone’s favor, as generating leads from a website is a daunting task especially for the corporate websites. 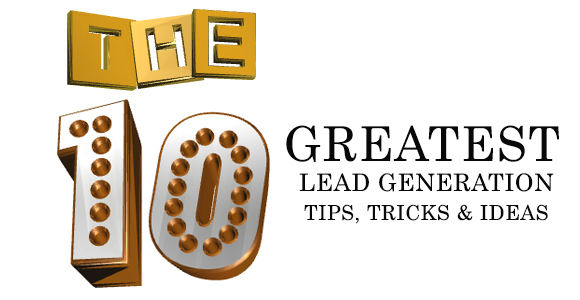 As there are plenty of elements associated with lead generation. For instance, your web page content should be picture perfect and should be something that can encourage your website visitors to hire your services or buy your products. But that’s not all you need to turn your visitors into genuine leads and later converting them into business. As your website is the heart of all your online marketing activities, you shouldn’t ignore it at any cost. To get more leads from your website, you need to customize the site in a more powerful way to drive more traffic, which will help you generate more leads and convert them into paid clients/customers. And to ensure that you get the desired results from all your online marketing efforts, we have made an infographic that displays you some ever green and effective tips for getting business leads from your website, and turn your site into a lead generation machine.